Interested in buying a pocket spring mattress? Pocket spring mattresses are hugely comfortable, very supportive of sore joints and much cooler than memory foam mattresses. But finding the right one can be hard when there are so many to choose from, that’s why I put together this guide. I’ve done the hard work for you and found all the best pocket spring mattresses that are available. Check out the table below for the rundown, the Simba Sleep is my current favourite if you need some help narrowing it down. 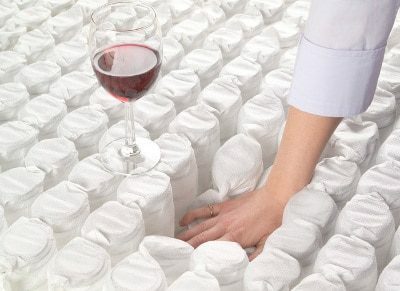 A pocket spring mattress is one where every spring is sewn into its own individual pocket of fabric. This means they can move independently giving you a responsive feel that keeps you comfortable no matter what position you sleep in. Compared to open spring mattresses which are the old style of mattress and made of a big grid of springs this is new levels of comfort. Those were the type of mattress you’d sleep on at your Gran’s house that if you jumped into bed on one side your partner would get bounced off the other side! Pocket springs, however, will support you and keep you sleeping soundly all night long. As I said above pocket sprung mattresses offer great response to your body so whether you sleep on your side your back or your front you’ll be comfortable. If you normally wake up with a sore back then a pocket sprung mattress will definitely be able to help you out. It allows your hips and shoulders to sink deeper keeping your spine straight and your back happy. They are by far comfier than any open spring or branded spring system there is. You just can’t beat the responsive feel with any other type of spring. Some people don’t like memory foam and that’s ok, pocket springs won’t hold you in place like memory foam does. So if you like to move around in your sleep you absolutely can. Memory foam can be really hot leaving you waking up through the night sweaty and uncomfortable. Pocket spring mattresses, however, are much more breathable because of the space around the springs, they let the heat escape keeping you cool and letting you wake up feeling fresh. The spring count is how many springs are present in a king size mattress, so a smaller mattress will have less and a bigger will have more. More springs are better because it means they have to be smaller to fit in the same space. And the smaller the springs the less you can feel any indivdual one and so the comfier the bed is. Generally, the lower end of the scale is 1000 springs, anything under that is no good. 1000-2000 is really good while 2000 and over is the height of luxury. A hybrid mattress is a combination of pocket springs and memory foam or sometimes pocket springs and latex. If you suffer from any sort of aches and pains in your joints or your back then this is probably going to be the better choice for you. Hybrid Mattresses are much bouncier than memory foam mattresses making them feel a lot different to pure foam. You have much more freedom to move but the extra layer of foam helps give you a lot of extra support. They’re comfortable and that extra foam layer combined with a high spring count can make you feel like you’re sleeping on a cloud. The problem is hybrid mattresses tend to be more expensive but the extra cost is absolutely worth it. And here we are at the main event! 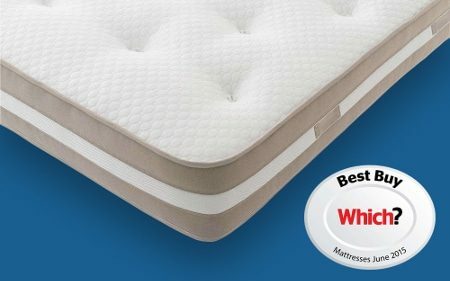 After a lot of research, I’ve managed to find the best pocket sprung mattress available in the UK. 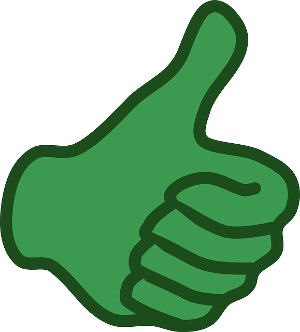 I’ve provided a short review of each and linked through to where you can buy them so click the Price & Reviews button to check out the price and order yours. Simba started out supplying thread to mattress companies the world over, before delving into making their own superb mattresses. Their research has led to great developments in spring systems, memory foam and ‘sympatex’ – a kind of latex. Simba combine all of these to create an incredibly comfy mattress. They’ve even gone so far as to partner with the Sleep to Live Institution. They’ve looked at the sleeping profiles of over ten million people, to find out exactly what people need from their mattress. 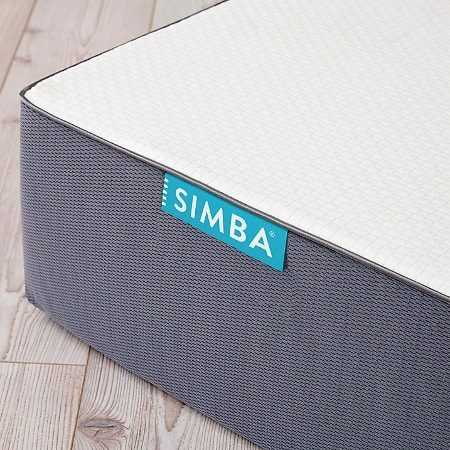 This is Simba’s only mattress, since they’re confident this is the only mattress anyone would ever need and it’s available in a range of sizes. When this mattress arrives it might have an odd smell because of the memory foam. That’s totally normal, it’ll dissipate after a day or so, just air it out before sleeping on it. You’ll get a 100-night trial with this one and it also comes with a ten-year guarantee – exactly what you want. The 2500 spring count is really impressive which’ll give you a blissful night’s sleep. Silentnight have been in the mattress industry for a long time, serving the UK for more than 70 years in fact. And in that time they’ve definitely learned a thing or two. The 1200 pocket springs are more than enough to give you a comfortable night’s sleep while still keeping the price down. It comes with a soft knit cover that is designed to be breathable helping to keep you cool at night and to keep the inside of the mattress fresh. The inside has also been treated with Purotex which helps keep the inside free from dust mites and germs and makes the whole thing hypoallergenic. Sealy are tried and tested mattress producers and perhaps one of the best known brands in the industry. So of course their Nostromo mattress is every bit as good as you expect! It’s got a 1400 spring count which isn’t the highest but when you combine it with a pillow top and deep layer of latex that moulds to your body you get a superbly comfortable nights sleep. The combination of latex and spring helps keep yoru body aligned through the night which is what helps prevent aches and pains in the morning, which is something we all want right? Of course it is! The cover is made of Tencel which works to keep you a comfortable temperature all night long. So it cools you when your hot and heats you up when you’re cold. Overall Sealy have done it again with a fantatsic mattress. All that luxury then made with only top quality parts to keep the whole thing together. A fantastically comfortable pocket sprung mattress! It’s a firm feel so not for everyone but firm mattresses are surpringly hard to come by if you do want one, see my dedicatedarticle on firm mattresses for more. The natural fillings are breathable so you get kept cool in the summer and warm in the winter. Plus the cover itself has a really soft feel which you can feel through your bed sheets. Altogether a top quality premium mattress. It should be noted that it’s only available in double, king and super king, no single I’m afraid! 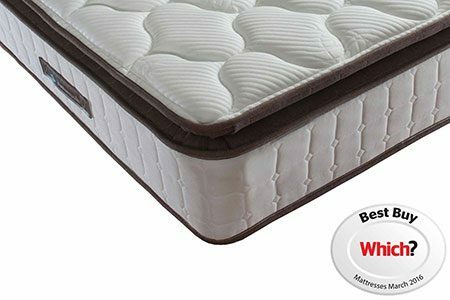 The Sleepeeze wool supreme is a great matress filled with natural wool and silk fillings to accompany the 2000 pocket springs. 2000 springs means you get excellent support across your whole back and you won’t hugely feel your partner move around through the night. The wool and silk which makes it a luxurious mattress and also makes it hypoallergenic. 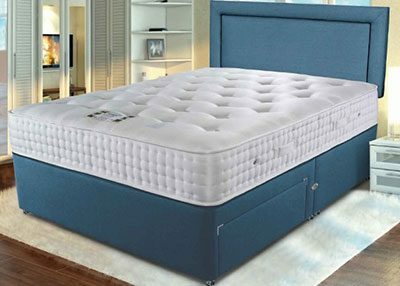 Overall a fantastic luxury mattress. A good rule of thumb is to flip your mattress as the seasons change. Otherwise, every 3-6 months will do just fine. The more often the better really but I know flipping a mattress isn’t easy, if you don’t have to flip it but do need to rotate it then I’d stick to the same rule of thumb. What can I do with my old pokcet spring mattress? You can often arrange with the people delivering your mattress to pick up your old mattress for disposal. In the UK if you have a furniture disposal unit you can drop it off there but for the easy life places like Mattress Next Day offer a mattress collection service which you can see here. 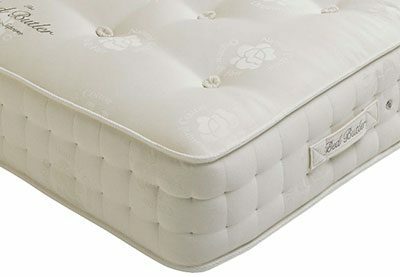 How can I extend the life of my pocket sprung mattress? The easiest way to help your mattress last longer is to get a mattress protector which I‘ve written a guide on here. Other than that regularly flipping it/turning it will help prolong it’s lifespan. Do you need to update this article? 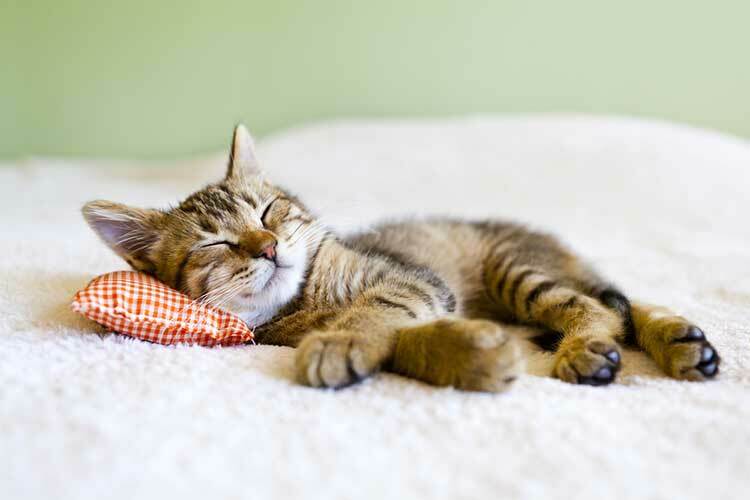 You say mattresses like Hyde & Sleep and Simba are only available online, but that’s not true. Simba is sold at John Lewis stores, and the Hyde & Sleep range is on display at (some) Dreams outlets. Turns out I do! Thanks for the heads up!